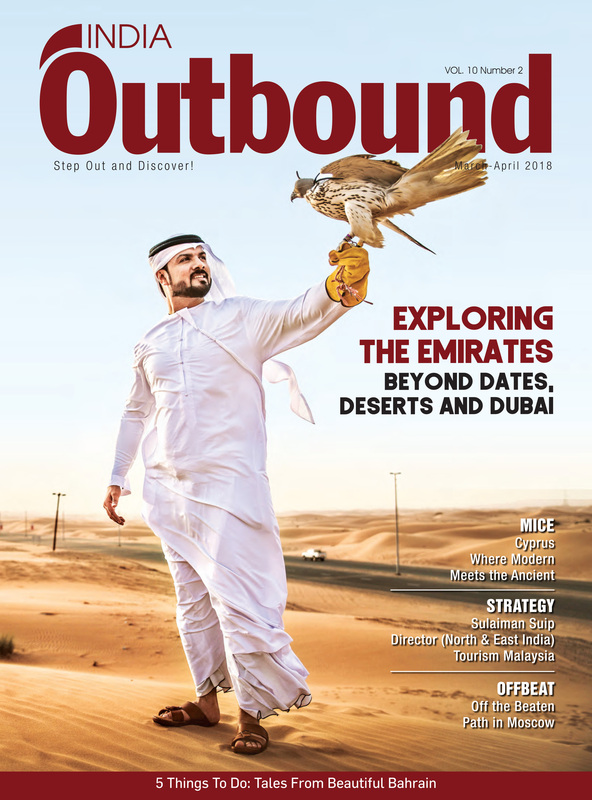 In this issue, India Outbound has decided to focus on the popular and unexplored destinations of the Middle East while exploring the riches, fancies and adventure that they have to offer. We begin with the UAE, a popular choice for Indians while exploring the delights of Dubai. Moving further, we have put together the Arabic cuisine, fashion in the UAE and shopping in souqs. Moving only a few hundred kilometres away from the UAE, a discovery tour of other destinations such as Bahrain and Cyprus is also included in the spread. While we introduce you to more exotic destinations, here is a sneak peek of the same. Whether it is historical ruins, speeding cars, scintillating souks or extravagant shopping sprees, the ‘spicy’ nation does not disappoint. From being the centre of trade routes to a destination for adventure, Bahrain takes tourists on an unforgettable ride. Compared with other global travel events, EMITT, organised in Istanbul, is relatively lesser known in India. India Outbound was present in Istanbul to see how EMITT is trying to bridge the gap in connecting with the Indian travel trade to bring more Indian tourists to the region. What makes Cyprus different from neighbouring Turkey and Greece? As we drove through the villages, we had to agree that there is a romantic aspect of Cyprus that makes it ideal for honeymooners too. After all this is where Aphrodite, the Goddess of love was born. You can visit her birthplace at Petra tou Romiou and also include many other historical sites visit without losing much time in your itinerary. Russia is full of mysteries and adventures, especially for thrill-seeking wanderlusts with a penchant for historical quest. Take a tour along the narrow lanes and hidden paths of the Russian capital, Moscow, to satisfy the quirksof an inquisitive mind. Malaysia has declared 2020 as the Visit Malaysia Year and India is a clear focus of that campaign. With a target of securing one million Indian tourists, the country has relaxed the visa regime for Indian travellers and is focusing on Indian families. It is also going beyond metros, targeting the Tier II and Tier III cities.